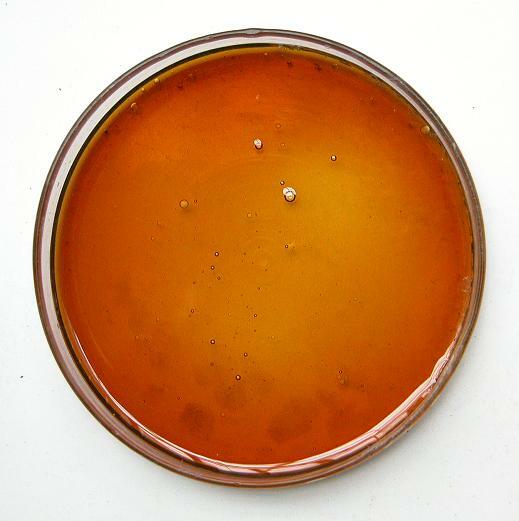 The resin exuded from the trunk of Liquidambar orientalis Mill. of family Hamamelidaceae. Mainly in Africa, India and Turkey, planted in Guangxi and Yunnan provinces in China. Squeezed the resin in autumn. Fragrant smell, light and slightly sweat taste. Sticky like ceactualose, delicate in texture, white-yellowish, semitransparent, thread-shaped while stirring it, without impurities and with fragrant smell. Squeezed the resin and then refined it to get Su He Xiang, unprocessed. Pungent, warm; heart and spleen meridians entered. Induce resuscitation and refresh mind, dispel cold and alleviate pain. This herb has weaker action of inducing resuscitation and refreshing mind, but it's warm in nature and with combining action of warming interior and dispelling cold to resolve damp-turbid. Thus it's suitable for cold block pattern of coma in diseases such as wind stroke and epilepsy that was caused by blockage of pathogenic cold and phlegm turbid. It is often combined with other resuscitation-inducing and mind-refreshing herbs, and interior-warming and cold-dispelling herbs. For instance, it is combined with She Xiang, An Xi Xiang and Tan Xiang and so on in Su He Xiang Wan from Tai Ping Hui Min He Ji Ju Fang. Besides, this formula can also be indicated for chest impediment pain. It can warm the interior and dispel cold to alleviate pain, so it's usually indicated for stuffiness and fullness sensation and cold pain in chest and epigastrium caused by cold congealing and qi stagnation. Thus it is usually combined with the interior-warming and cold-dispelling, qi-moving and pain-stopping herbs. Take pills or alcoholic preparation, 0.3~1 g once. Take proper dose for external application. It should not be used in decoction.